JUCHEREAU DUCHESNAY, IGNACE (originally from Du Chesné-Vidame, department of Eure-et-Loir), seigneur of Beauport; b. 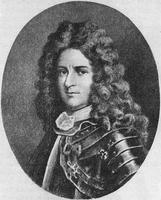 3 Aug. 1658; d. 7 April 1715, and was buried at Beauport the next day. Juchereau Duchesnay was the third child of Nicolas Juchereau* and Marie-Thérèse Giffard. On 24 Feb. 1683, at Beauport, he married Marie-Catherine Peuvret, daughter of Jean-Baptiste Peuvret* Demesnu, chief clerk and secretary of the Conseil Souverain, and seigneur. By this marriage he had 17 children. Through him the name of the Juchereaus has been perpetuated in Canada. On 17 Feb. 1683, the very day that his marriage contract was signed, Juchereau Duchesnay inherited the Beauport seigneury from his uncle Joseph Giffard; he did not, however, exercise his rights to it until 1689. He caused his domain to prosper, and it remained in his family until the end of the seigneurial régime. On 6 Oct. 1704, before the Canadian courts, he lost a lengthy action which he had brought against the Jesuits, with the aim of having corrections made to the boundary between the seigneuries of Notre-Dame-des-Anges and Beauport, as it had been set in the time of Huault* de Montmagny. In February 1684, in command of the Beauport militia, he took part in the ill-starred expedition of Le Febvre* de La Barre against the Iroquois and showed himself to be a man of courage. 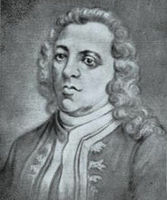 Juchereau Duchesnay is thought by P-G. Roy to have been Pierre Le Moyne d’Iberville’s companion on the 1686 expedition to Hudson Bay, under the orders of the Chevalier de Troyes*. Louis XIV appointed him to the Conseil Supérieur in 1705, but for reasons still unknown he refused to sit on it, and his appointment was given to Michel Sarrazin two years later. His wife survived him, living until 15 Feb. 1739, and several of his descendants had distinguished careers in Canada and abroad. Chevalier de Troyes, Journal (Caron). P-G. Roy, Inv concessions, I, 33; Inv. contrats de mariage, III, 269. Bonnault, “Le Canada militaire,” 392–94. P.-G. Roy, La famille Juchereau Duchesnay, 175–78. J.-E. Roy, “Les conseillers au Conseil souverain de la Nouvelle-France,” BRH, I (1895), 178. Lucien Campeau, “JUCHEREAU DUCHESNAY, IGNACE,” in Dictionary of Canadian Biography, vol. 2, University of Toronto/Université Laval, 2003–, accessed April 25, 2019, http://www.biographi.ca/en/bio/juchereau_duchesnay_ignace_2E.html.